I’m so proud to be a course instructor for LinkedIn Learning. I spent much of 2016 working on my first course, Social Media Marketing ROI, which was published in January 2017. I now have seven courses in the library which can be accessed if you have a LinkedIn Premium account. You might find that your organisation/education institution has a subscription that will allow you access to LinkedIn Learning. You may also be able to watch a course on your next flight! LinkedIn’s mission is to connect the world’s professionals to make them more productive and successful, and so it makes sense to have a learning platform to complement the personal profiles, company pages and other elements that make LinkedIn the number one social networking platform for businesses. The world moves too quickly to not be in a constant state of learning. When I graduated from Sheffield Business School in 1999, there was no Facebook, Twitter, Instagram or LinkedIn. Many of today’s students at University will take jobs that don’t yet exist! As such, I’m a firm believer in lifelong learning. To maintain and retain my status as a chartered marketer I have committed to an annual assessment of continuous professional development (CPD). I also find that teaching (take a look at my courses, here) is a way in which I learn. Albert Einstein said, “If you can’t explain it simply, you don’t understand it well enough.” To teach, I have to know my subjects well enough to explain them, and answer questions. I have to know the latest best practices and have case study examples to share. You can find out more about Workplace Learning trends in this annual report from LinkedIn. LinkedIn Learning is an online learning platform which enables professionals to achieve their career objectives and aspirations by acquiring new skills or prop up existing ones through a self-paced learning experience. Lynda.com, an industry leader in online education was co-founded in 1995 by Lynda Weinman and Bruce Heavin. LinkedIn acquired Lynda.com in April 2015 at the cost of $1.5 billion. In September 2016 LinkedIn incorporated Lynda.com courses into the LinkedIn platform, as ‘LinkedIn Learning’. Until recently, content has been published simultaneously on both platforms. Now, all Lynda.com courses are on LinkedIn Learning. The library of courses is updated weekly and cover a wide range of business, creative and technical topics from leadership ‘soft skills’ to programming. LinkedIn is able to use data to make course recommendations to its members and courses can be viewed anytime, on any device, online and offline. At the end of each training, learners are issued with certificates of completion which can be added to a LinkedIn profile with just one click! I was invited to audition as a LinkedIn Learning course instructor in February 2016. I created a number of sample movies, voicing-over slides and performing onscreen software demonstrations. The toughest part of the process was keeping it a secret from my friends and peers! Once approved to become a course instructor I started to discuss course titles with my content manager, and then it’s all about the table of contents (TOC). A TOC is like a lesson plan, with heading and sub-headings, each of which has clear learning objectives that can be covered in just a few minutes! Every LinkedIn Learning course is made-up of a series of bite-size videos, that can be watched in sequence, or individually. My first three courses involved weekly Skype calls with my producer, who coached me through the role of a LinkedIn Learning course instructor. Each week I researched and prepared scripts and slides. Each week we practiced and refined them until I was ready to record. 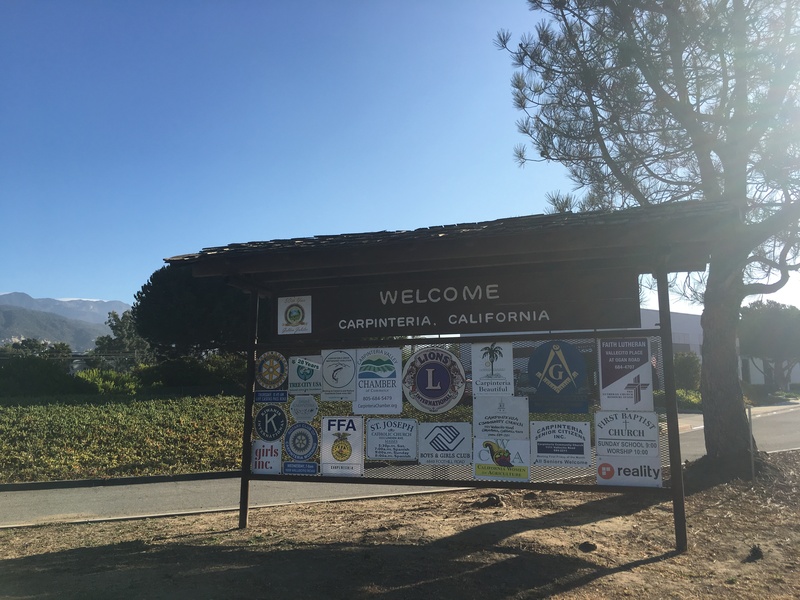 For my first three course recordings, I had the amazing experience of traveling to Carpinteria, California. You can check out my video diary on YouTube. I now record remotely from my home office. I have a black box of kit and continue to work with the production team whilst writing and recording. The editing team does an amazing job of turning voice files and raw slides into the final course. Here’s an insight into the audio production process. Course instructors are also enrolled in the ‘Learning Insider’ community program which provides a wealth of information and support around the library of content and the development of LinkedIn Learning. When you’re working under NDA, this is hugely valuable! One of the key benefits, I believe, of LinkedIn Learning is that you will only find one course per subject. Each course is thoroughly researched and produced before it is released. Each course instructor is selected based on their real-life experience and subject matter expertise and a course is created through collaboration with a team of the best producers and editors. Learners can follow Instructors on LinkedIn and submit Q&A and course feedback to make it a truly interactive learning experience.